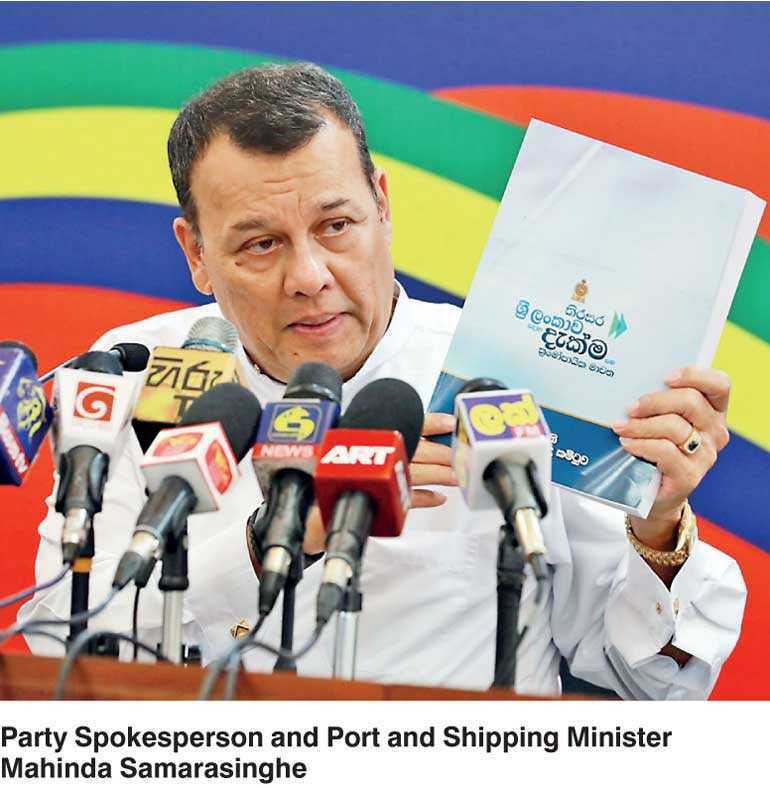 The Sri Lanka Freedom Party (SLFP) reforms have successfully progressed with the establishment of ‘Bala Mandala’, Party Spokesperson and Port and Shipping Minister Mahinda Samarasinghe said yesterday. Giving an update on the Central Committee Meeting held yesterday at the SLFP Headquarters, SLFP Parliamentarians have said that the number of youth and women members of the party has significantly increased with the establishment of the Bala Mandala, the Minister said, speaking to media at the SLFP Headquarters. Further, he said that Party Leader President Maithripala Sirisena has also instructed the Party General Secretary to take immediate measures to appoint new organisers. The 66th anniversary celebration of the SLFP falls on 2 September, and a committee to organise the celebration has been appointed under the leadership of Minister Nimal Siripala de Silva. The Committee will decide the date to hold the anniversary convention.